Doesn’t the image above look refreshing? Even more than refreshing it was surprisingly delightful! “It” being an ice-cold cup of fresh cucumber water. Yesterday while my son received loc maintenance at KinHairitage Salon and Spa, I was offered a refreshing glass of cucumber water. Fresh lemon water is my fetish and has been for many years. But I admit, the cucumber flavored water took the flavor of water to an entirely new level and offers me a new way to flavor up my water. Water provides nourishment to our body, to our skin, and to our natural and lovely curls. Even the lemon flavored water gets boring so I can’t wait to switch it up this week. If you’re looking for a new twist or a way to increase your water intake, give it a try. Below are a few interesting links that I found about drinking cucumber water. 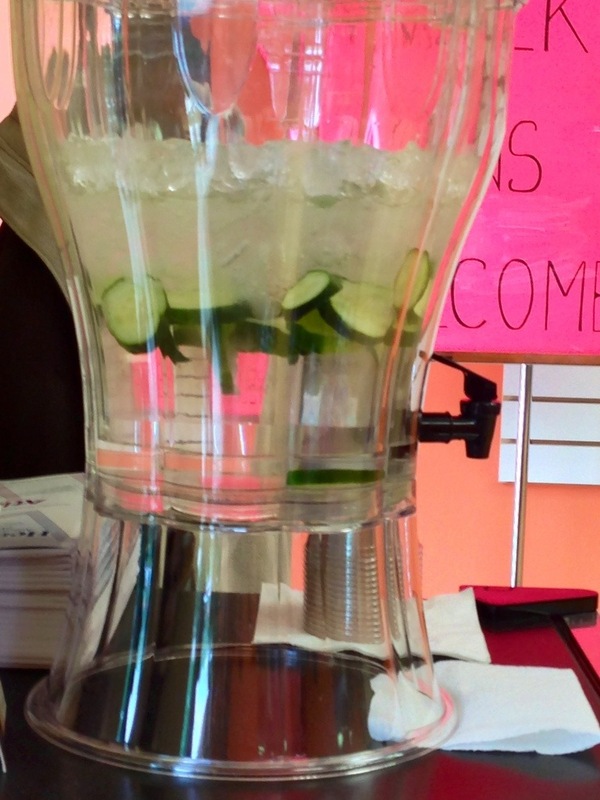 Cucumber Water: The Most Refreshing Drink Ever? This entry was posted in Hair Natural, Healthy Eating and tagged Cucumber, Drinking water, Flavored water, healthy hair, lemon flavored water, Water. Bookmark the permalink. I’m willing to give it a try. Hi Curtis! Don’t forget to report back and let me know if you enjoy it! Thanks for visiting! Thank you! I am going to try this too! I wanted to start using veggies in my blender but I didn’t know where to start. Guess I’ll start with this! The cucumber water is easy to make. If you want to use the blender to make smoothies, the process is simple. Warning! Smoothies made with fresh fruit are addictive! Yummy!! Yummmm! Thanks so much for this tip! Please do not feel rushed to do this. Love and blessings to you!